Following Saturday’s horrific shooting at a Pittsburgh synagogue that killed 11 and wounded six, police across the country have increased their presences at synagogues within their jurisdictions. 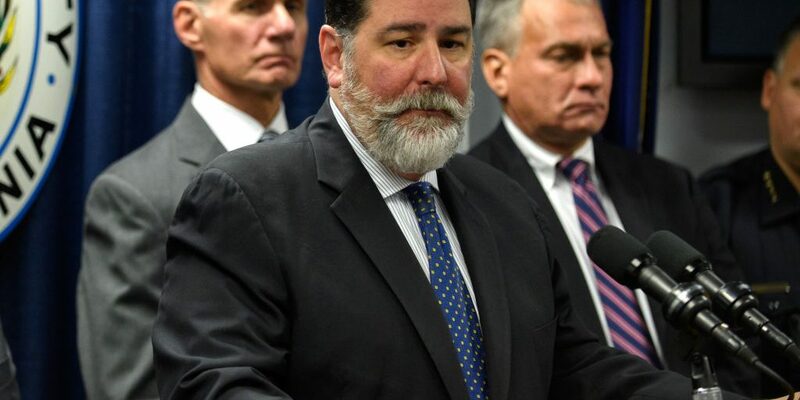 However, Pittsburgh Mayor Bill Peduto says that armed guards at synagogues isn’t the best long-term solution. Suspected shooter Robert Bowers faces 29 federal charges and 11 state charges after storming the Tree of Life synagogue in Pittsburgh and engaging in a shootout with police following a rampage within the synagogue, according to CNN. Anti Defamation league CEO Jonathan Greenblatt called the shooting “the deadliest attack on the Jewish community in the history of the United States” in a statement. Since then, police across the country have stepped up patrols at synagogues. New York Chief of Department Terence Monahan said that police with heavy weaponry had been sent to houses of worship throughout the city, along with New York Police Department officers visiting “sensitive areas,” according to the Associated Press. “We will be having a strong presence at community institutions in the days ahead and it’s important for people to know that we regard this as part of a solemn duty in this city,” New York Mayor Bill de Blasio said, per the AP. Officials in Philadelphia, Chicago and Harris County, Texas noted over the weekend that they too, are providing an increased police presence at synagogues and other houses of worship through at least the end of the weekend, the AP reports. Madison, Wis. Mayor Paul Soglin echoed a similar sentiment, saying in a statement that, “We do not want to live in a United States where everyone carries firearms and armed guards are at every school, every house of worship, and every street corner,” according to Madison’s NBC affiliate WMTV.